The mattress startup isn't hitting the snooze button any time soon, with plans for 200 brick-and-mortar stores by 2021. CMO Jeff Brooks talks through growth plans, Mattress Firm's bankruptcy and more. Prior to taking on the role as Casper's CMO, Brooks was the Global President and Chief Marketing Officer of digital marketing agency Huge, where he first worked with Casper as a client. 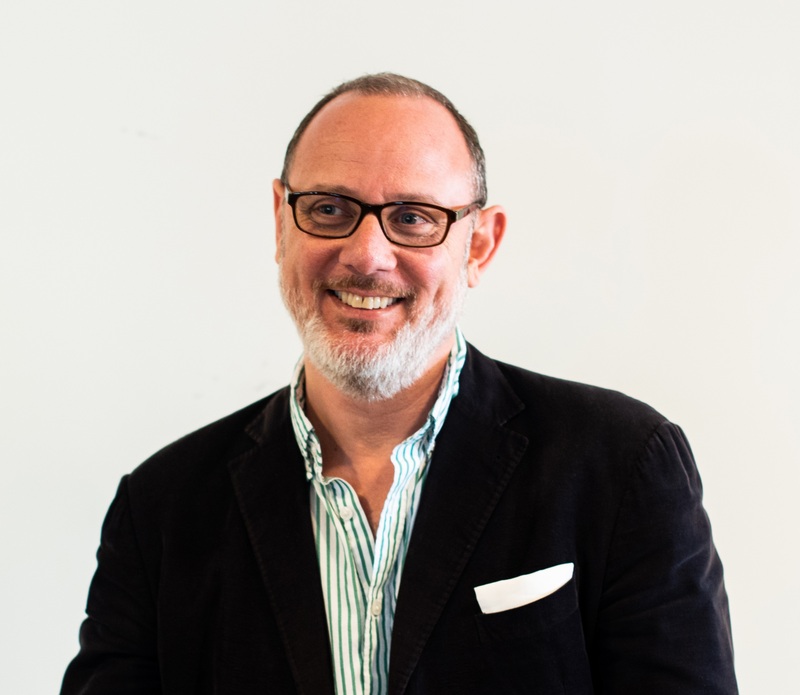 He also has experience as the Chief Commercial Officer at Assembly and as the CEO at both M&C; Saatchi and Euro RSCG. In just four years, Casper has become a major force in the mattress space, going from an e-commerce only retailer to one that has partnered with Target, experimented with pop-ups and now plans a store fleet of 200 by 2021. But as anyone at Casper would tell you, it's not a mattress company — it's a sleep company. That designation has informed a lot of the choices Casper has made, from how the retailer designs its stores to why it opened a pilot store in New York that sells naps ($25 for a 45-minute snooze). If you ask Chief Marketing Officer Jeff Brooks, who's finishing up his first year at the company, that different approach to mattress selling is why the company has been so successful. "Let's juxtapose that with the old way of buying mattresses in brick and mortar," Brooks said in an interview with Retail Dive. "The times are changing — and we saw a big sign of that with [the] news." The news, in case you snoozed through it, was Mattress Firm's bankruptcy filing. Not that Mattress Firm mentioned Casper when it filed for bankruptcy Oct. 5, but the company noted an insufficient presence in the high-end market and ineffective brand marketing as two of the reasons for its Chapter 11 filing — problems that Casper does not appear to suffer from. Mattress Firm's announcement that it was filing for bankruptcy, and closing 700 stores in the process, didn't sound all that different from the overarching plot that's been playing out in retail for the past few years. Equally familiar is the presence of an online company credited with turning the traditional retail model on its head, a designation that has been given to many online players in the past several years, including Warby Parker in the eyewear space and Away in the luggage sector. Enter: Casper. The startup is largely heralded as the company to popularize the bed-in-a-box trend and do away with the worst of traditional mattress selling practices. And so, a major retailer in the mattress space may have just filed for bankruptcy, but it wasn't all that surprising and it doesn't change much for Casper, according to Brooks. He noted that if anything it serves to "validate our conviction that we have the right strategy," though he said the company does not take pleasure from Mattress Firm's trip through Chapter 11. "For over a hundred years a few players controlled virtually all the supply and distribution in this category and chose not to innovate or really think about the customer experience." "At the same time, for over a hundred years a few players controlled virtually all the supply and distribution in this category and chose not to innovate or really think about the customer experience," Brooks said. "You can do that in categories where consumers don't have choice, but once their eyes are opened to access and transparency and real product innovation and consumer-centricity, it's inevitable. And it would have been inevitable whether it was Casper or somebody else." It's hard to find a competitor that gives Brooks pause. Mattress Firm obviously missed some customer cues over the years, but even e-commerce retailers ushered into the mattress category in the same wave of massive disruption as Casper — Tuft & Needle, Purple and Leesa, among others — exist in a realm that Casper is thinking about, but not overly concerned with, he said. That stance is despite active efforts by all three to partner with prominent retailers and otherwise strengthen their market positioning. Of note, Leesa has paired up with West Elm and Pottery Barn over the past couple of years, Purple with Mattress Firm and, perhaps the biggest news, Tuft & Needle is set to merge with Serta Simmons Bedding. Even this last doesn't overly concern Brooks, who said Casper expects more consolidation in the market going forward. "The overall impact to our business of [Amazon] now being in the category in that regard is not something that keeps us up at night." "We think it comes out of a defensive position, not an offensive position," Brooks said of the Tuft & Needle acquisition, "and that for us, if we continue to execute against our strategy, we'll have the luxury of making a whole bunch of different decisions on our terms." That attitude holds true even as Amazon, retail's perennial disruptor, has made moves into the space, adding a memory foam mattress to its AmazonBasics private label line. Despite the success of Amazon's private label strategy in other categories, Brooks doesn't see the product they've put out as directly competitive. He says it caters to the "very, very low end of the market" rather than where Casper itself plays. "Casper truly brings a premium product to the market that's highly engineered, highly designed at a higher price point and I don't think that level of fidelity can be replicated by Amazon or any other private label player in the space, for that matter," Brooks said. "Again, while we're not surprised to see them in there — we'll keep our eyes on it — the overall impact to our business of them now being in the category in that regard is not something that keeps us up at night." If competitors aren't keeping Casper up at night, its ambitious plans for the future probably are. The startup has taken significant steps in the past year toward becoming a brick-and-mortar player. While it's been part of the plan for a while now and Casper has tested out many physical locations by opening pop-ups, February marked the retailer's first permanent store. For most e-commerce startups, that in and of itself would be newsworthy, but just months later Casper announced plans to open 200 stores across North America within three years — a big investment in brick-and-mortar retail for a company that burst onto the scene as an e-commerce darling. That being said, physical retail has become increasingly popular with digitally native brands and, according to a recent study by JLL, companies in the space plan to open 850 stores in the next five years, a number which includes Casper's 200, along with brick-and-mortar moves from Away and Allbirds. For the most part, that's to cater to the segment of the population that wants to try out a product before purchasing it, and give customers the option to buy wherever they want. But for Casper, it's also because their first forays into physical retail have gone really well. "To see the demand for our products, services in the physical world when you're a digitally native brand is really humbling and it's not a story that a lot of companies are able to see through." "To see the demand for our products, services in the physical world when you're a digitally native brand is really humbling and it's not a story that a lot of companies are able to see through," Brooks said. "To see the stores as productive as they are and to see … the demand for trialing the beds such that in some cases people have to reserve those little bedrooms in advance just because of the traffic that we have in the stores. It's humbling." Those little bedrooms Brooks mentioned — where customers can enter a room, close the curtain and try out a bed — were originally just part of the company's pop-up strategy, but they performed so well that the company's adopted them for all of its permanent locations, a light-hearted replacement for the warehouse-like setups of previous years. While the design has been successful with customers, Brooks also notes that part of keeping the miniature houses in stores is about staying true to the "approachability and playfulness" of the brand. 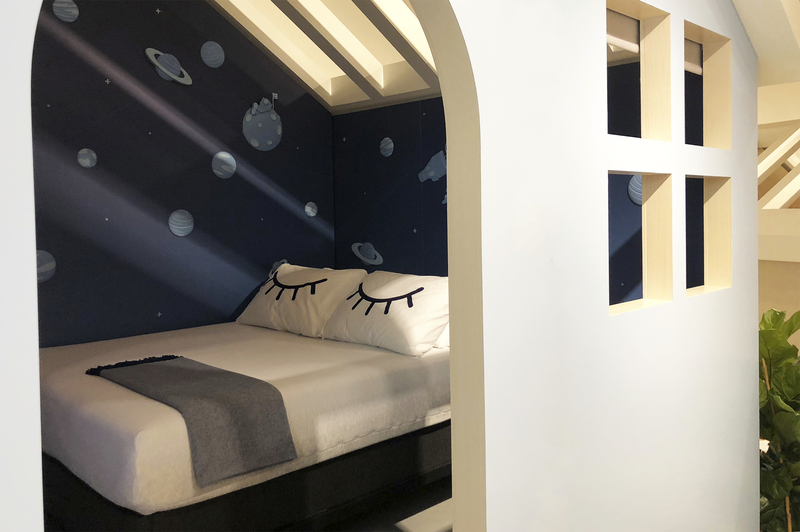 Customers have "come to expect" experiential elements from Casper, which have come to life in the Dreamery and the company's Nap Tours. 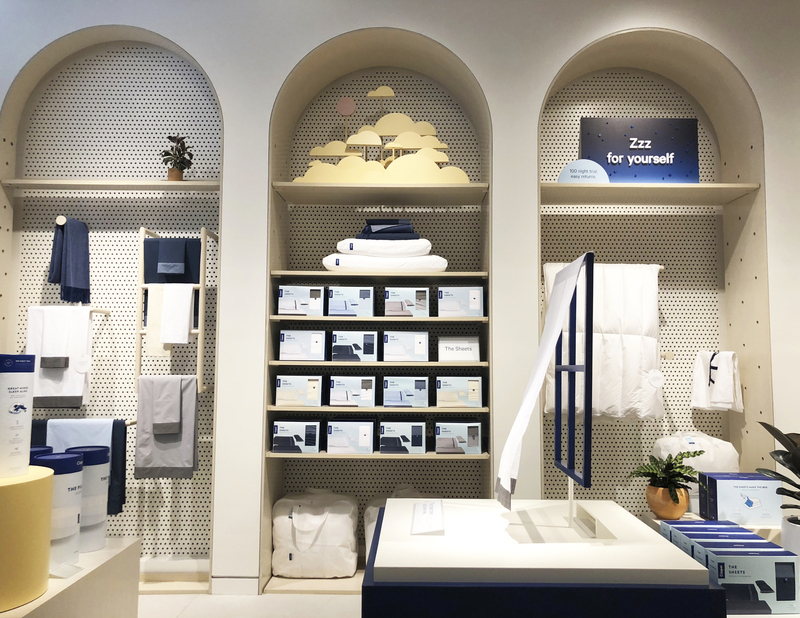 Yet Brooks makes a point of saying that the store concepts are not just to push product, but also to encourage sleep as part of a trend toward wellness. "For the Dreamery, part of the mission of bringing better sleep to more people is also thinking about airports, corporate environments, campuses," Brooks said, mentioning that the company is "actively talking" about expanding the concept. "The notion of the Dreamery is powerful, not really as a standalone retail destination, but more to say that there are opportunities for all people, whether you're a consumer, an employer, to think about how you enable yourself or your staff to rest when they need to." Customers can step in and pull a privacy curtain over the door to test out mattresses. As with many startups, key aspects of the company's purpose are reflected in the corporate culture. For Casper, that means nap pods at all corporate offices. They're available for any employees looking for a bit of shut-eye between meetings, and Brooks comments that it's not unusual to see someone catching a cat nap and giving a big presentation later in the day. Just like their wellness message would imply, Casper encourages employees to take short naps when they're tired to improve work quality. Hence: the Dreamery — an extension in some ways of what Casper tries to give its own employees. And though the retailer may be shifting more into brick-and-mortar locations in the future, it's still leaving room for more whimsical concepts, whether directly tied to the Dreamery or otherwise. "There's certainly going to be a focus on moving into more permanent owned and operated retail and we have enough confidence in the fleet to be able to double down on that," Brooks said. "But we also want to be agile and opportunistic, so if we see pop-up or seasonal opportunities that make sense for the brand or the business, we'll certainly consider them." For a startup that has grand plans for its own locations, Casper partners with a lot of retailers. Chief among them is Target, a partnership which has expanded since its beginnings in 2017 to include the Casper Essential mattress and an exclusive sheet line, among other things. Rumors even circulated at one point that Target planned to acquire the startup for $1 billion, but for now at least the partnership remains just that — though undoubtedly a useful one for Casper considering Target's position as one of the premier mass merchant's in retail. Outside of the Casper-Target relationship, though, the startup has also partnered with department stores Nordstrom and Hudson's Bay. All-in-all, those relationships have been a success, with wholesale environments creating high demand for Casper products, according to Brooks. As a result, the company's own plans won't get in the way of future partnerships — and they haven't stopped the retailer from joining up with the behemoth that Amazon has become either. "We want to be where consumers are and so we've been selling on Amazon for a long time and will continue to sell on Amazon for a long time," Brooks said. "We view them as a valued, strategic distribution channel and partner, and if anything we're actually giving them access to more products from Casper than we had in the past. Just given their sheer presence in the market, I think not being there would limit our ability to reach a good population of consumers." Casper is adamant that it is not just a mattress company, but a sleep company. While the company's focus has stayed primarily in the U.S., Casper's been making moves into Canada as well, partnering with Hudson's Bay, EQ3 and Indigo, as well as opening its first flagship in the country. Brooks noted there were more locations and partnerships to come and said their flagship in Canada is "surpassing even the highest expectations that we had for it." Other international expansion is on the horizon as well, but North America is a focus area for the startup right now in terms of expanding reach and penetration. When looking at Casper from a bird's-eye view, the company has everything to indicate a healthy and growing company — successful stores, plans to expand and a strong brand message, among other things — but although the company is facing a future that seems bright (and full of naps), it's not about to sleep on innovation either. "It's always kind of balancing, how are we going to continue to grab market share and grow, but how are we thinking three years ahead?" Brooks said. "How are we going to disrupt ourselves and continue to disrupt ourselves so that we make sure we remain the leader in the category?" That doesn't sound like a startup asleep at the wheel. It sounds more like the faint ring of an alarm waking the rest of retail up.